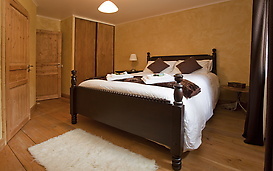 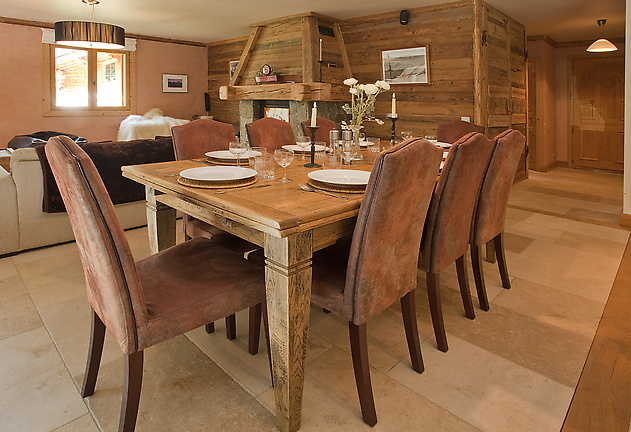 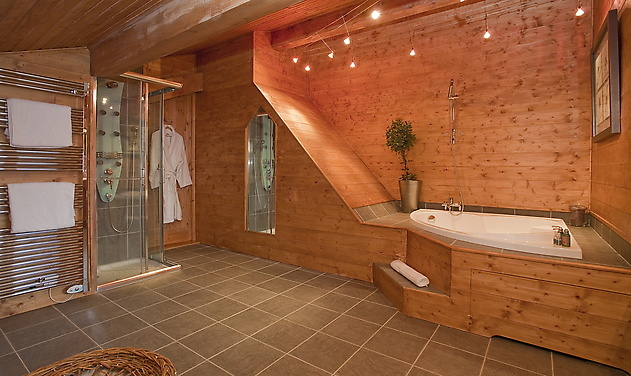 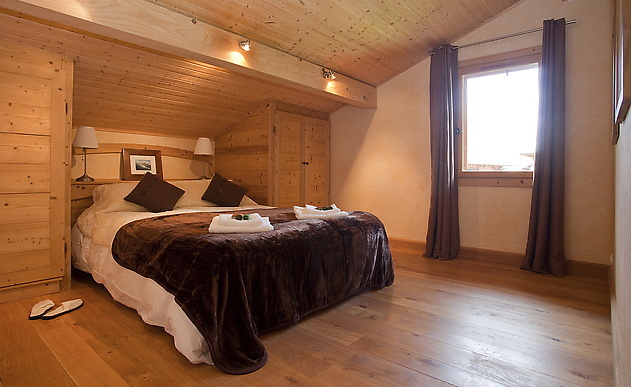 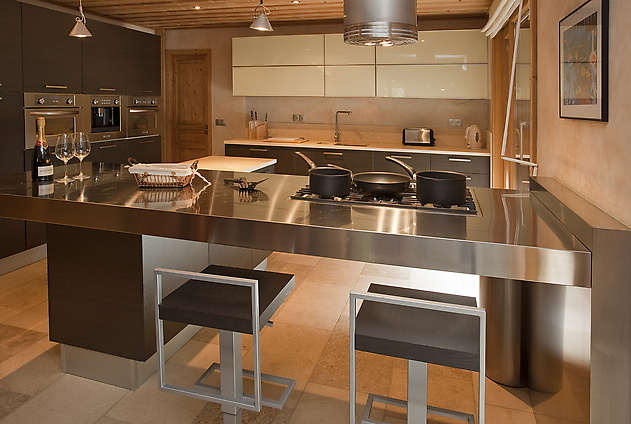 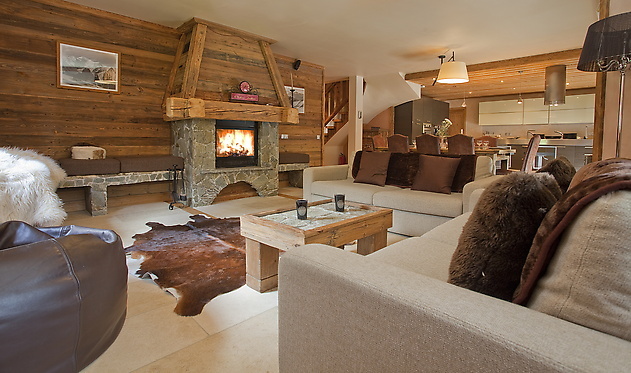 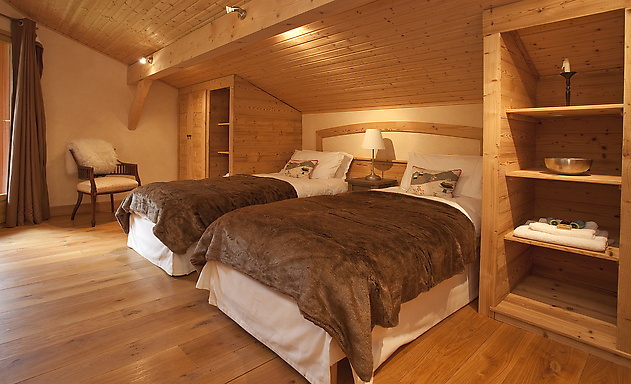 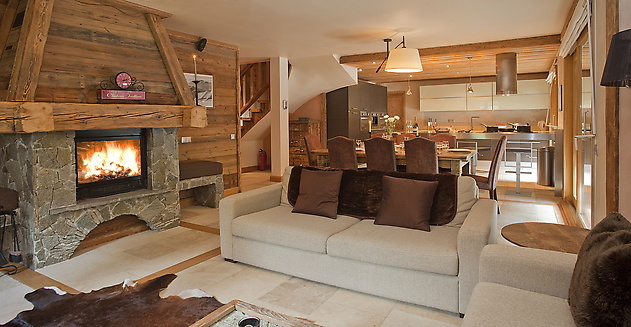 This Chamonix chalet is a delightful blend of modern living and traditional charm. Homely with plenty of alpine charisma. The versatile accommodation is particularly attractive to families and friends looking for a mixture of doubles and twins. The comfortable living area includes a stylish kitchen with breakfast bar, a dining area and a lounge with a stone fireplace ready to instill the earthly warmth associated with luxury ski holidays. 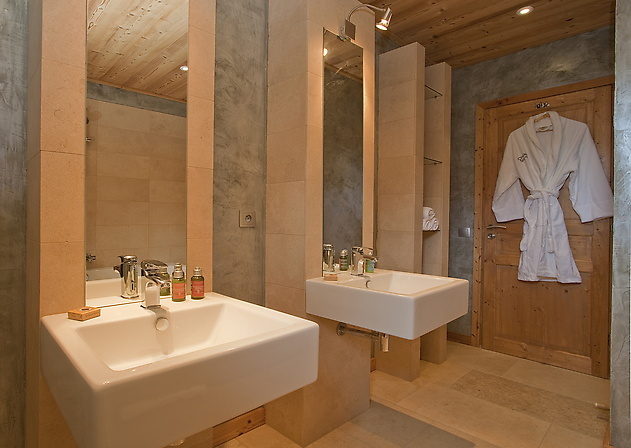 For a touch of indulgence, the sunken jacuzzi on the terrace is a wonderful spot to sit back and relax; to grab a peaceful moment and embrace the natural surroundings. 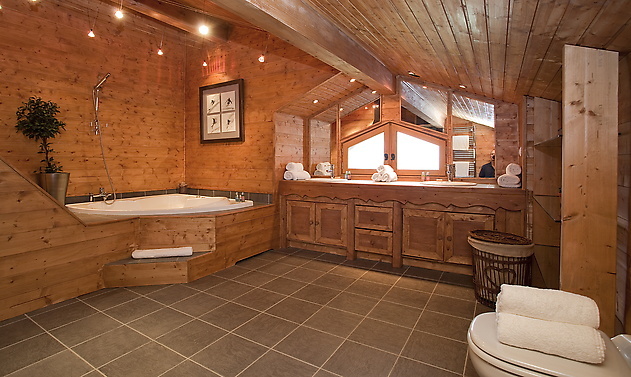 Whilst a 4 x 4 vehicle is always recommended in the snow, the chalet is located on the valley floor with easy access to Chamonix town by car and on foot. 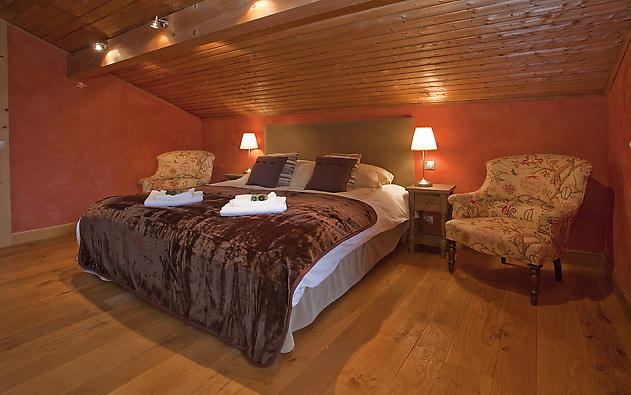 An easy walking trail follows the river L'Arve with beautiful scenery all around, leading to the bustle of shops, bars and restaurants. 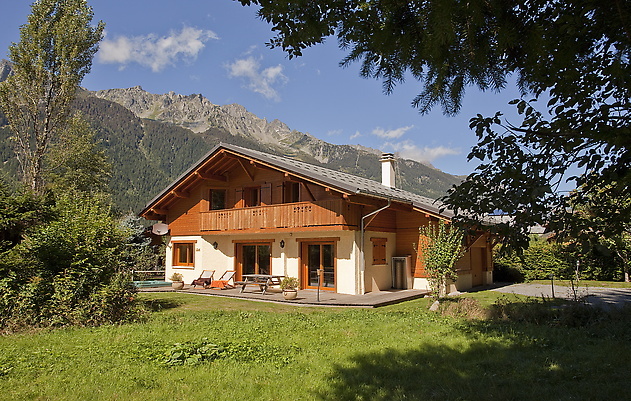 The chalet is ideally positioned in the centre of the valley with Brevent, Flegere and the beginner slopes of Savoy and Les Planards just a short drive away. 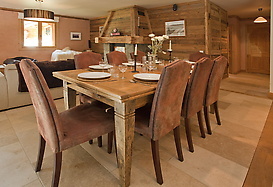 This luxury catered and self-catered ski chalet is ideal from those wanting to enjoy the mountain as well as the town life both in winter and summer. 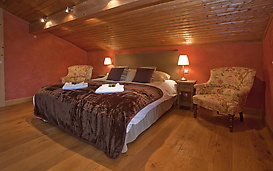 Discover the luxury facilities this accommodation offers and start planning your ski holidays now.